Caring for patients and families in the unique way they deserve is Sarah’s passion and mission. With open and compassionate communication, she works collaboratively with families on specific health concerns, nutrition, supplements and illness prevention. Sarah has earned specialized certifications: Doctorate of Nursing Practice and Certified Pediatric Nurse Practitioner. 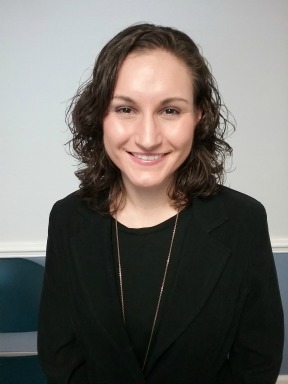 Sarah considers herself an advocate for her patients’ individual health concerns and strives to understand each patient and family personally. She then provides the specific teaching and tools that each patient and family needs to live a full and healthy life. Diagnosed with Type 1 Diabetes at age 4, Sarah accepted the challenges of facing chronic disease early in her life. Her personal experiences gave her a deep desire to learn and understand how the body functions and heals. Her childhood experiences have also given her greater empathy to care for children with acute and chronic conditions. Sarah earned her Bachelor of Science degree in Nursing from Florida State University and began her career as a pediatric oncology nurse. In this capacity, she learned the importance of not allowing an illness to ever limit her patients from living and experiencing childhood. Sarah’s interest in integrative medicine began during her doctoral studies at the University of Florida. Completing an internship at an integrative pediatric practice, she noticed that the children treated there were healthier and happier overall. She attributed these results to the ability of an integrative doctor to spend more time with patients and families, to counsel them on nutrition, whole food supplements, specific medical concerns and illness prevention. Sarah loves that integrative medicine takes an evidence-based, holistic approach that does not simply focus on a specific disease or diagnosis, but rather examines the whole patient, addressing physical, mental and spiritual health. In addition to practicing medicine, Sarah is a fan of the outdoors and enjoys completing half-marathons, kayaking, biking, hiking and camping. She loves Indian cuisine, exploring antique markets for unique trinkets, and visiting U.S. National Parks.